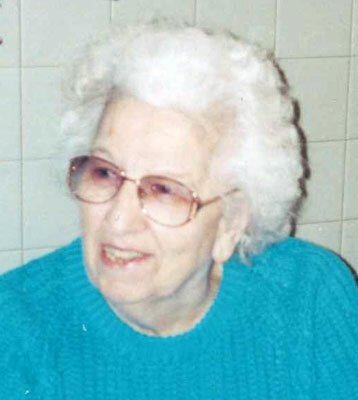 YOUNGSTOWN – Funeral services will be held Friday, March 7, at 11 a.m. at the Vaschak-Kirila Funeral Home for Mary Burns, 95, who passed away on Sunday. She was born Jan. 25, 1919, in Pennsylvania, daughter of John Bukowski and Mary Roskovensky. After graduation, she went on to serve in the U.S. Coast Guard in the 1940s. She was a homemaker and a member of St. Joseph Church in Austintown. Surviving are sisters, Barbara Tomecek of Youngstown and Anna Mae Bukowski of Monessen, Pa. She also leaves many nieces and nephews. She was preceded in death by her parents; seven brothers, Peter, Andrew, Joseph, John, George, Steven and Michael Bukowski; and a sister, Agnes Smith. Friends will be received on Friday, March 7, from 10 to 11 a.m. at the Vaschak-Kirila Funeral Home Inc., Youngstown.